Keep numerous health records as well as show entry information, and do simple billing. 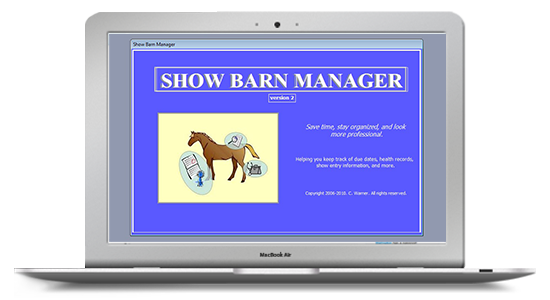 Save time, stay organized, and look more professional with your horse care/equine management system: health records, due dates, show entry information, print statements, track purchases, and numerous reports. * For Windows desktop only. 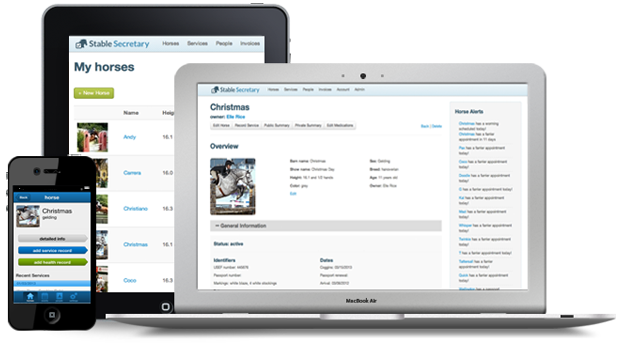 We would like to introduce our customers and the world to a new mobile solution for managing equine information… Stable Secretary. Use Stable Secretary to manage your barn anytime, anywhere, with your smart phone, tablet or desktop computer.